Ranked as the greatest player in Tottenham Hotspur F.C’s history by The Times in 2009, Danny Blanchflower captained Spurs during their double-winning season of 1960-61. Adding to this triumph in 1962, Danny led Spurs to FA Cup victory against Burnley, scoring a penalty in the process. In 1963 he skippered Tottenham to glory in the European Cup Winners’ Cup securing Tottenham Hotspur a place in football history as the first British team to win a trophy in European competition. 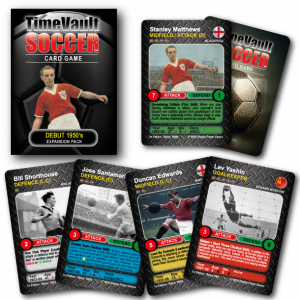 In 1958 and 1961 his talent was recognised as he was voted the Footballer of The Year, where he sits alongside Tom Finney, Stanley Matthews, Kenny Dalglish, John Barnes, Gary Linekar Thierry Henry and Cristiano Ronaldo as one of the few players to receive the award more than once. Celebrated for his exquisite vision and movement in the midfield playmaking role as well as being a thinker and intellectual, Danny had the ability to dictate and change a game in an instant. Credited with one of the best known quotes on football: “The great fallacy is that the game is first and last about winning. It is nothing of the kind. The game is about glory, it is about doing things in style and with a flourish, about going out and beating the lot, not waiting for them to die of boredom.” He enabled his team to play with guile and flair. Having started his career at Glentoran, Danny crossed the Irish Sea to join Barnsley where his outspoken spoken nature soon put him at odds with the management. 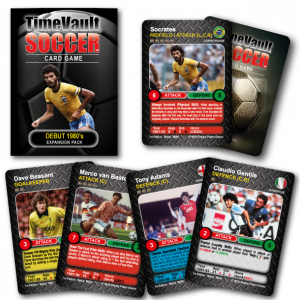 Moving on to Aston Villa his elegant style of play seemed at odds with a physical Villa approach before Arthur Rowe saw off a challenge from Arsenal to sign Danny for Spurs. A signing that would go on to be the fulcrum of Bill Nicholson’s great Tottenham Hotspur team. Capped 56 times by Northern Ireland and scoring 2 goals in total over a 14 year career Danny Blanchflower captained his country when as “unfancied underdogs” they reached the quarter-finals of the 1958 World Cup, beating Czechoslovakia (twice) and drawing with West Germany in the process. 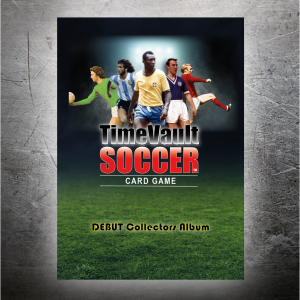 The Time Vault Soccer football card game doff’s it’s cap to this Tottenham and Northern Ireland Legend with a representation of the 1960-61 League and FA Cup double winning season. 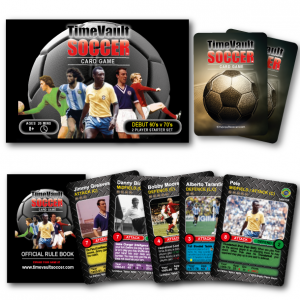 Game Changer (Intelligence Skill): At the start of your turn (before you play a card), if Danny Blanchflower is in play, you may shuffle any number of cards from your hand into your deck and re-draw the same number. You may only use this skill once per half. This does not count as you turn. Strategy Tip: Gives you creative options when your attacking game is turning to custard or, worse, you’ve been caught off guard by your opponent and your keeper is nowhere to be seen. 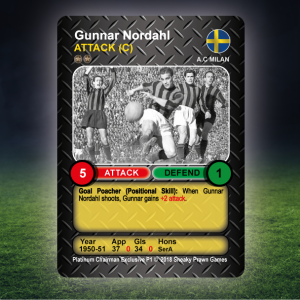 Much more than an insurance card, Danny possesses solid abilities in both attack and defence… a genuinely classy card. Figures in (Italics) = stats for their National side. 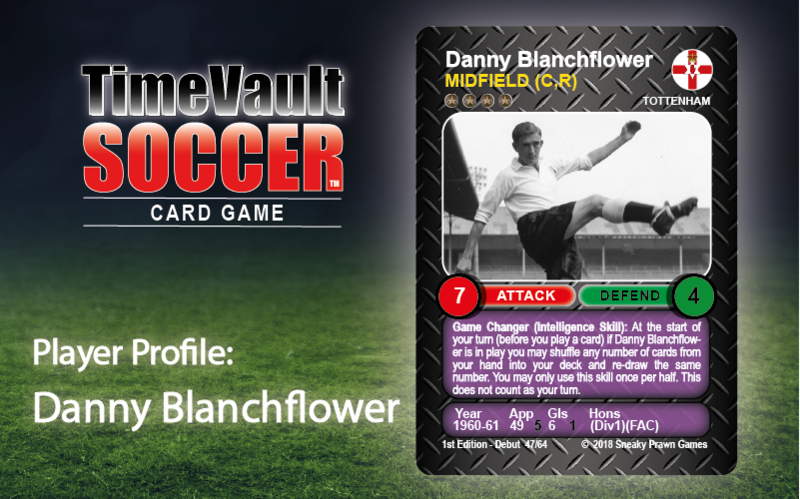 This entry was posted in TVS Player Profile and tagged 1960-61, 1960's, 4 Star, Danny Blanchflower, Midfield Center, Midfield Right, Northern Ireland, Tottenham Hotspur, TVS Player Profile.